Since he first began publishing his work in the 1880s, Oscar Wilde has been a controversial figure. 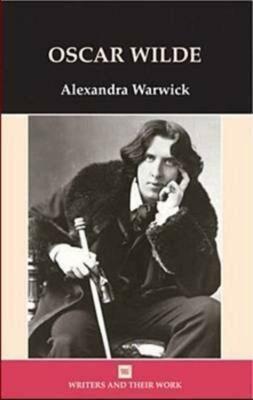 Although celebrated by any of his contemporise for his witty and iconoclastic writing, he was imprisoned and disgraced in 1895 and died in poverty and exile. For much of the twentieth century he was best known for his society comedies, but more recent scholarship has focused on his prose work and identified him as an important figure in such fields as Irish writing and queer theory. This study looks at the whole range of Wilde's writing and places it in the context of later nineteenth century ideas, suggesting that the influence of his studies at Oxford was more profound than has been realized, and that modern philosophy and evolutionary theory had a lasting effect on his representations of the individual and society. Alexandra Warwick is Head of Department of English and Linguistics, University of Westminster. She has written extensively on Gothic and nineteenth century literature. Her latest books are `Repositioning Victorian Sciences' (2006) and (with Martin Willis) `Jack the Ripper: Media, Culture, History (2007).